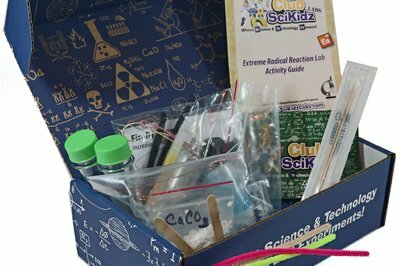 Enter your email address below to receive a notification when Club Scikidz Labs starts accepting new sign-ups! 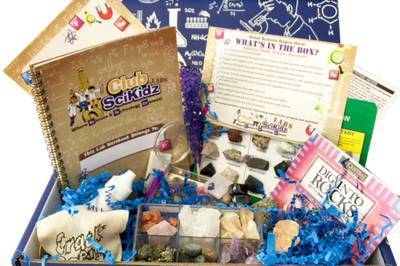 Enter your email address below to receive a notification when Club Scikidz Labs is accepting new sign-ups again. Your first box will ship within 2-3 business days when you place your order. For existing subscribers, we ship around the 25th of every month. 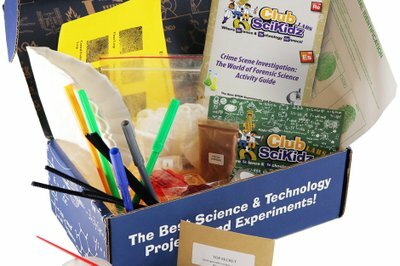 Club SciKidz: Science and Technology Enrichment. 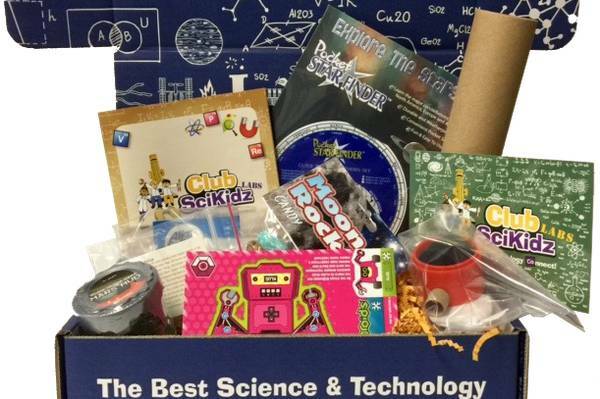 Give the Gift of Science! 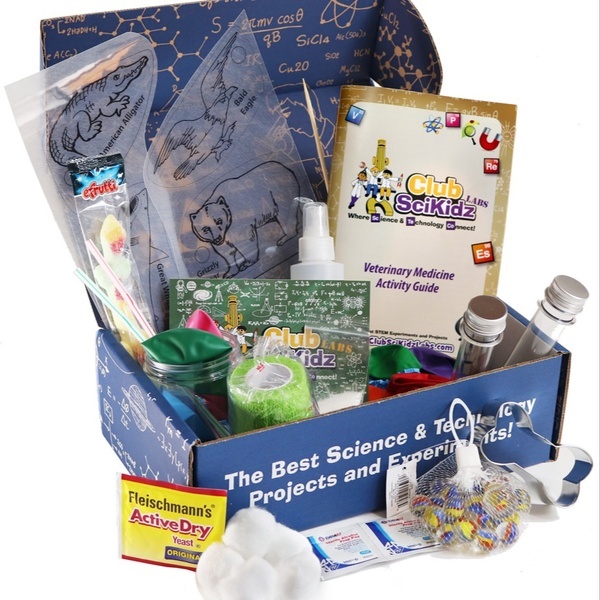 Give your young scientist moments of wonder and surprise through the gift of science. 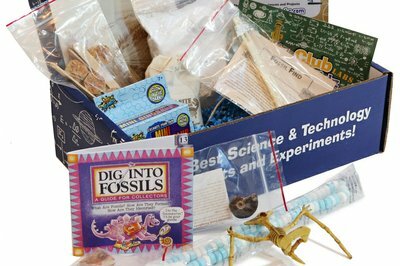 Each box contains a variety of career based activities such as: Veterinary Medicine, Robotics, Astronomy, Geology, Paleontology etc... 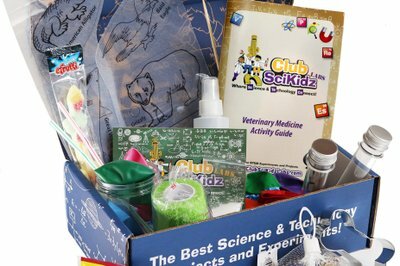 In addition, your scientist will be able to start their own home lab with the supplies provided! The box was ok but the experiments are too easy for our 8 year old son. 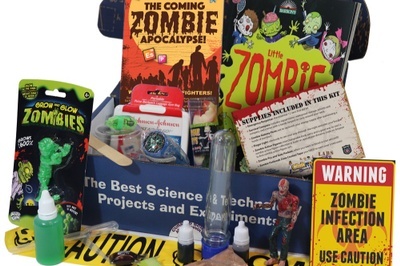 And I do not like the fact we have to provide a lot of the stuff to do the experiments, our daughter's box comes with everything she needs for hers. If it was a little cheaper or included more stuff I may have given it longer but it is just not worth the money for us. I would recommend for kids maybe 5 or 6 -8 or ones who do not have a lot of experience with science and engineering. 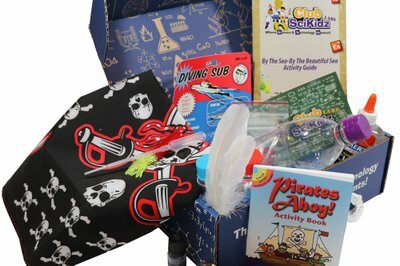 when we received our first box, I sent a email to them, about everything we enjoyed but to let them know of a pencil that was missing ( may not seem like a big deal, but to alittle it is) and an issue we had with a battery. Not only did he respond in a timely matter he sent us a whole new extra box! I was only expecting to get the pencil and new battery replaced. That is going above and beyond! I and my son are extremely pleased! 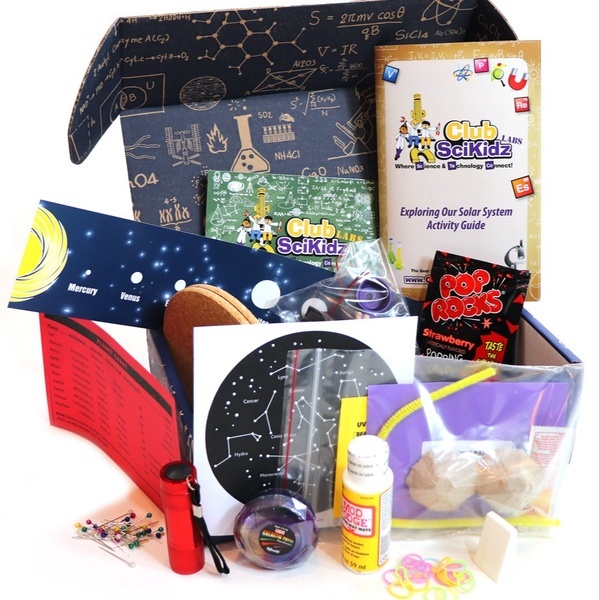 I totally would recommend if you have a kiddo into science/STEM this would be a great box for them to enjoy! So much to do and learn! My 6 year old son is just getting into all things science so when I found this subscription I wanted to give it a try. It was a huge hit! He loved it! And getting a new box each month was icing on the cake. My grandson is 8 and loves the box. Has been looking forward to its contents every month. I understand from his dad that he needs help with some of the projects contained in the box. I know an 8 year old was at the lower age for the projects but enjoys them a lot. I bought this subscription for my 8 year-old- nephew and he absolutely loves it. There are some great experiments, along with a craft and a surprise, each month. 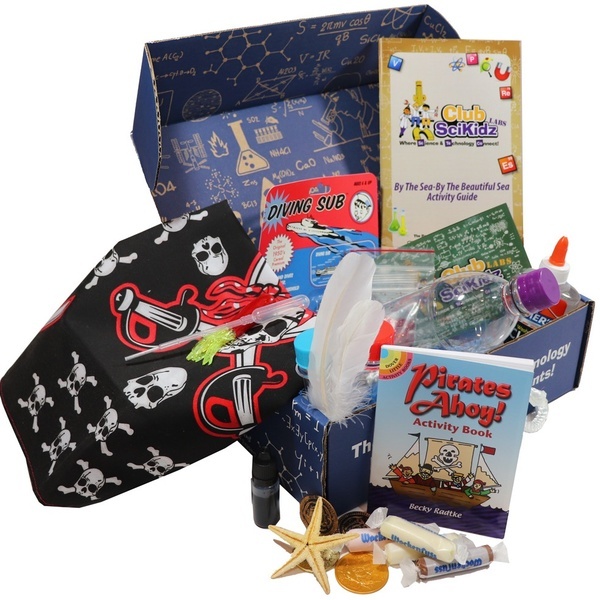 The manual that comes with the box not only has explanations and facts for the experiments they are providing in the box but there are also plenty of extension activities, that they can do at their own pace throughout the month. If you have a little scientist in your house, definitely check this out. My daughter looks forward to this box every month. Such a great variety of themes. We especially enjoyed the Save Our Oceans box. The experiments and activities are easy to do and she is learning while having fun. I appreciate the nature craft every month...offers a nice balance to the STEM projects. My 5 year old loved her last box! We did all but 1 experiment the day it arrived. Looking forward to next month. Great way to spend a cold winter day learning and bonding with your child. I purchased this box for my 8 year old and I’m so glad that I did I love the boxes and he loves the candy he gets that goes along with the theme of the box. My only complaint is that you have to supply some items needed for the experiments. Overall we really enjoy the box and will continue with them. They said the subscription would be 6 months and 6 deliveries. In actuality, it was only 5 1/2 months. The first package was labeled delivery 2 of 6, so essentially they skipped one shipment. Plus I asked for the subscription to not renew, and it says that on my receipt. Luckily I checked online and noticed it was on auto-renewal and corrected it. After disputing the issues i had, they claim to have shipped a 4th package, but never provided a tracking number. The “missing” package was the only one that didn’t have a tracking number. Go figure. Be careful when ordering. My experience was not good. We certainly apologize for any issues regarding shipment of your order. Our daily goal is to ensure that all of our customers receive legendary service. We were not made aware of an issue until we received the cancellation notice. As you stated, you were initially set up on auto-renew. Three of our boxes have been delivered with our first box missing. Once an order is shipped you receive an email with a tracking number. What we can do is send the first box out to you and fulfill the last two boxes of your six box order even though you have cancelled. 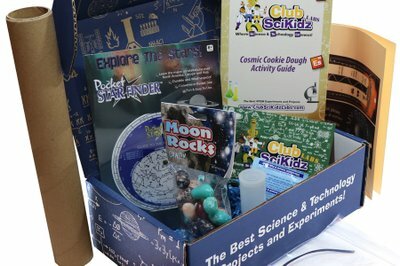 Club Scikidz will make this right so you can enjoy lots of great STEM activities. Have you ever looked up at the sky and wondered what was beyond the Earth's atmosphere? 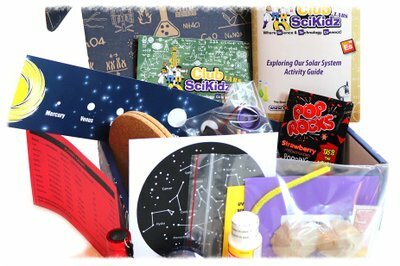 Check out our Exploring Our Solar System box! By The Sea-By The Beautiful Sea! Lots of great high seas adventures! Learn all about Pirates and Oceanography Build a Tide Pool Wind chime and More!